I'm back from two weeks in Cuba from Santiago to Havana! Long trip, sketchy internet, but wonderful photo opportunities. The people of Cuba are outstanding, it was a fascinating experience. 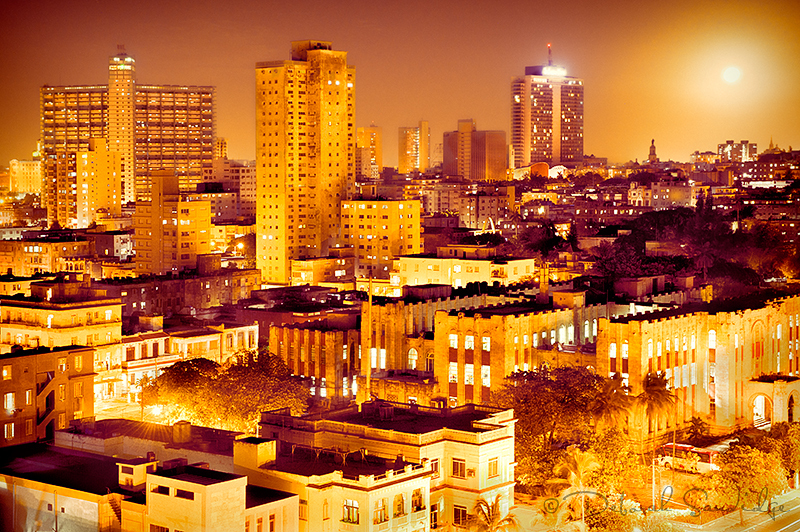 Hard to wind down at night, especially after seeing this view from my hotel room in Havana during moonrise! Cross processing with Topaz Adjust film effects created this golden vintage film look.